Hosted for the first time in Africa, the World Cancer Leaders’ Summit (WCLS) will be held at the Mount Nelson Hotel and the Cape Town City Hall on 18-19 November 2013. The theme is ‘Closing the Cancer Divide by 2025′, which highlights the critical need to address the glaring disparities in cancer control within and across national, regional and international boundaries. Closing the cancer divide is crucial to achieving the global goal of reducing premature deaths from NCDs by 25% by 2025, which was adopted by UN member states at the World Health Assembly in May 2012. This annual high-level policy meeting, dedicated exclusively to furthering global cancer control, is organised by the Union for International Cancer Control (UICC) and hosted by the Cancer Association of South Africa (CANSA). The event will bring together key decision makers from around the world to encourage timely debate on emerging issues related to cancer and will provide an important forum to secure a coordinated, multileveled global response to address the spiralling cancer epidemic. The Summit will coincide with the release of the latest statistical data around incidence, mortality and prevalence for cancers worldwide. This information is crucial to deriving key insights on the global cancer burden and is expected to highlight the urgent need for concerted action around many important issues, such as the growing cancer crisis in the developing world. “We want to raise awareness among leading decision-makers to ensure cancer is a global health priority by providing a forum to exchange information and innovative ideas on how to reverse the cancer epidemic, ensuring a sustainable response,” says Cary Adams, CEO UICC. Three WCLS workshops will be held on Monday 18 November (pre-summit day) to engage delegates in the wider summit discussions to be held on the Tuesday. As with previous years, eminent speakers and panellists are drawn from all aspects of the international cancer community and include health and government leaders and cancer control experts from around the world. 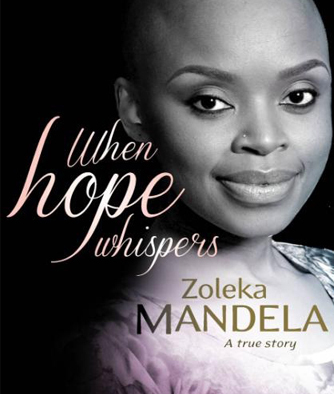 Prominent attendees expected to play an active role at this year’s Summit will include Tobeka Madiba Zuma, Dr Christine Kaseba Sata, First Lady of Zambia and the granddaughter of Nelson Mandela, Zoleka Mandela- an avid cancer advocate and survivor. Key partners of the 2013 Summit include UICC, CANSA, Department of Health of South Africa, WHO, IARC, IAEA, American Cancer Society, LiveStrong Foundation, MacMillan and NCI. Between 170-200 attendees are expected to attend this invite-only event, including heads of state, cancer CEOs, health and finance ministers, foundation and corporate CEOs and development agency directors.